The head of Scaramanga Shipyard near Athens and a close colleague to former defense minister Chacopulos are detained under the corruption investigation on a bribe in 2011. Two high-ranking officials were placed in custody in Greece on Monday over allegedly accepting a $100 million bribe from a German company regarding submarine sales to the Greek army in 2011. 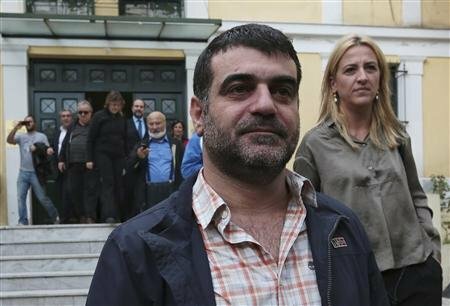 Sotiris Emmanouil, the head of Scaramanga Shipyard near Athens, and Ioannis Beltsios, a close colleague of former defense minister Akis Chacopulos, have been detained in the corruption investigation. Emmanouil has been accused of accepting a bribe of $20 million in return for signing agreements on submarine purchases, whereas Beltsios is claimed to have received $3 million. The corruption scandal broke out when the Investigation Bureau of Financial Crimes revealed a payment of $100 million from German heavy-industry company, ThyssenKrupp, for selling electrical submarines to Greece. Former defense minister Chacopulos had been sentenced to 20 years in prison last year over a series of crimes including the corruption scandal.